By placing an Order and purchasing goods from this website you enter into a legally binding agreement with us on the following Conditions. You should read and understand these Conditions because they affect your rights and liabilities. (“We” or “Us”) for certain products as set out in the pages on this site (“The Goods”). Subject to the provisions of Clause 4.2 below, the price of the Goods the delivery charges and Value Added Tax where applicable is set out in the Order Form. In accordance with the provisions of the Consumer Protection Distance Selling Regulations 2000, you have the right to withdraw from this transaction. Details of your right to withdraw will be sent to you with the Goods when they are delivered and can be found in Clause 9 below. [PLEASE NOTE THAT THE RIGHT TO WITHDRAW FROM THE CONTRACT DOES NOT APPLY IN RESPECT OF ANY PAINT MIXED TO YOUR SPECIFICATION OR INSTRUCTIONS.] THESE CONDITIONS DESCRIBE THE BASIS FOR PURCHASE BY YOU AND SALE BY US OF THE PRODUCTS DESCRIBED ON THIS WEB SITE. 1.1.4 References to persons shall include bodies of persons whether corporate or incorporate. 2.3 No variation to these Conditions shall be binding upon us unless and until agreed by e-mail or in writing to us. 3.2 Orders are accepted at our sole discretion but are normally accepted if the Goods are available, the order reflects current pricing, you are based in the Delivery Area and your credit or account card is authorized for the transaction. 3.3 You or we are entitled to withdraw from any contract in the case of obvious errors or inaccuracies regarding the Goods appearing in our website. 3.5 The quantity, quality and description of and any specification of the Goods which are required to conform with any applicable statutory or EC requirements. 4.2 If the price of the Goods increases between the date we accept your Order and the delivery date, we will let you know and ask you to confirm [by email/in writing] that the new price is acceptable. If it is not acceptable then you will, of course, have the option of cancelling the Order. 4.3 The price of the Goods does not include insured postage or packaging. There will be an additional charge made relative to the size and amount of Goods insured for postage and packaging. This charge made relative to the size and amount of Goods insured for postage and packaging. This charge will be clearly shown on the Order form. 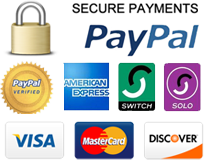 5.1.2 authorize us to deduct from the Payment Card account the full price of the Goods and all other payments which may become due to us under the Contract. 5.4 We will not pass your personal information on to any third party without your permission. Unless solely due to our negligence we cannot be held liable for any losses you may suffer. If in any event your Payment Card is used fraudulently you are entitled to cancel the payment and be reimbursed by the card issuer without being charge for the loss. 6.1 Delivery of the Goods shall be made by us or by our carrier to the address for delivery shown in the Order Form. It is important that this address is accurate. Please be precise about where you would like the Goods left if you are out when they are delivered. Once the Goods have been delivered in accordance with your delivery instructions, you will be responsible for them. Our responsibility for everything other than damage due to our negligence or due to a manufacturing design or design fault will cease upon delivery. 6.2 We will do all that we reasonably can to meet the date given for any delivery or, if no date has been agreed, within 5 working days of the order date. We cannot be held responsible for delays beyond our control. If we are unable to make the delivery date we will contact you. If delivery cannot be made within 10 working days of the given delivery date you will be entitled to either arrange a revised date or cancel the order and receive a full refund. 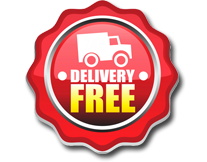 If we are able to make delivery in advance of the given date we will contact you. 6.3 If the order is a multiple order and we are unable to make delivery of the whole order but are able to deliver part we will contact you, informing you of this, and delivery will be on a mutually agreed date. In this instance delivery will be said to be made in installments. Each delivery shall constitute a separate contract and any failure by us to deliver anyone or more of the installments will not entitle you to treat the contract as a whole as repudiated. 8.1 Terms and conditions of this contract do not affect any additional rights you may have under a manufacturer’s warranty/guarantee. These rights are given to you by the manufacturer in addition to your statutory rights. Any additional rights given to you by the manufacturer in respect of Goods purchased are not incorporated into this contract. 8.2 As a consumer you have statutory rights regarding the return of defective Goods and claims in respect of losses caused by any negligence on our part or our failure to carry out our obligations. The terms and conditions of this contract do not affect your statutory rights. For further information regarding these rights contact Trading Standards or Citizen’s Advice Bureau. 8.3 IMPORTANT NOTICE: TIME LIMIT FOR NOTIFICATION OF CLAIMS. You are asked to examine the goods at time of delivery or as soon as reasonably possible after delivery. Any claim by you based on any defect in the quality or condition of the Goods or their failure to correspond with specification must (whether or not delivery is refused by you) be notified to the company within 7 days from the date of delivery or within a reasonable time after discovery of the defect or failure if it was not apparent on reasonable inspection. iii) any increase in loss or damage resulting from breach by you of this contract. 9.1 You have a cooling off period of 7 days after the date on which you have received the Goods to cancel the Contract, and return the Goods at your cost and receive a full refund of the purchase price and any delivery cost. 9.3 Gods must be returned complete and undamaged with all accessories and instructions. The original packing must be returned in reasonable condition. 9.5 In the event that we supply substituted Goods to you in accordance with the provisions of Clause 2, your right of cancel is as set out as above except that the cost of returning the Goods shall be borne by us. 11.2 The clauses of these Conditions and each sub-clause thereof are several and if any part of any clause or sub-clause shall be void, invalid, or unenforceable the the remainder of such clauses or sub-clauses shall nevertheless be valid and enforceable.